Bonfire treats to set your tastebuds on fire! Holdsworth Chocolates has a sensationally sparky selection of luxury treats in store that are perfect for Bonfire Night – and strictly for the grown ups! 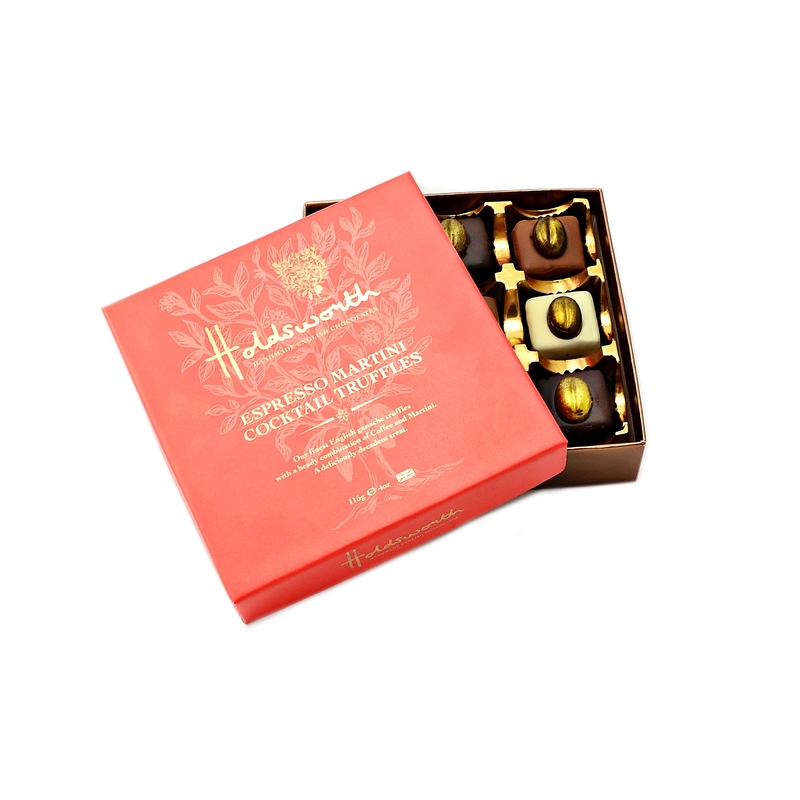 Our Banoffee & Chilli Milk Chocolate Truffles are completely unique to Holdsworth Chocolates, are guaranteed to get your taste buds tingling. Banana, toffee and chilli ganache truffles are wrapped in fine 33% milk chocolate and finished with a sprinkle of chilli flakes for a hot, sweet and very exotic treat. Our Dark Chocolate Fiery Stem Ginger (100g, £6.00) make a very grown up treat for the fireworks and festivities. We have enrobed the finest stem ginger in our classic 60% dark chocolate to create a spicy combination to warm your cockles and illuminate your evening. If you love the warming, sultry taste of rum, our Dark Chocolate Jamaican Rum Truffles (100g, £6.00) use the finest rum from a long-established distillery in the Jamaican mountains. These deliciously grown-up ganache truffles are a lovely treat to share with friends while you enjoy the rockets and Catherine Wheels. Finally, our new Espresso Martini Truffles (115g, £8.00) will make you the star of the show at the Bonfire – if you fancy sharing them, of course! The luxurious assortment of milk, white and dark chocolate ganache truffles are combined with the finest aromatic coffee, a dash of martini and topped with gold-dusted coffee beans. Perfect to keep you perky as you watch the sky light up. Check out our shop for more details, and happy Bonfire Night to all!